How do you organize yourself in the kitchen? If you find your family eating the same stuff over and over again, maybe all you need is a bit of (fun!) planning. 1. It will save you loads of time. Picking a bunch of recipes beforehand makes you aware of all the ingredients you’ll use for the whole week, so forget about all those last minute trips to the shops! You’ll be able to serve meals quicker too, as you can cook them in batch and freeze them, or use the same cooked ingredients for more than one recipe. Online shopping will save you even more time! 2. All family members can stick to it. That’s why healthy foods are great: they’re good for everyone! Eating healthy doesn’t mean eating plain, boring food. Combine colors, flavors and textures and kids will love your new creations! 3. It is cheaper. Cooking a meal from scratch not only is healthier, but can also be cheaper. Buying ingredients that can be used in more than one recipe will help you save. Also, one of the greatest things about meal planning is that you know how much you are going to spend on food before shopping! 4. Healthy foods are trendy. Have you heard of chia seeds? What about all these healthy smoothies all celebrities seem to love? Plus all sandwiches now seem to have avocado in them. That is great news because normally, when a product becomes popular, supermarkets also start selling it cheaper! 5. You’ll have more energy. Organizing your meals will quickly make you realise what was lacking in your diet – protein? Maybe not enough veggies? Eating a good variety of foods will supply with all the nutrients your body needs, helping you and your family sleep better and feel more energized! 6. You can lose (or maintain) weight. 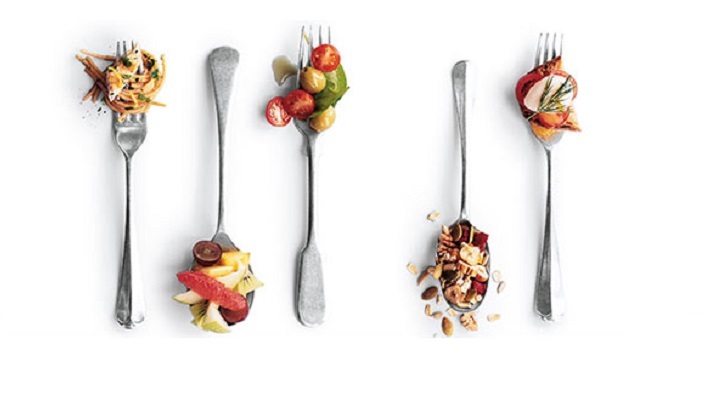 Specialists agree dieting doesn’t have to be about counting calories and feeling deprived. It’s more about the balance of your diet and including a variety of foods, in the right portions, over the day. There are lots of simple swaps you can make right away, for example try substituting a handful of croutons for a handful of nuts on your salad or just spread half of a ripe avocado instead of mayo in your sandwich. 7. You don’t have to give up the treats. Whether it’s chocolate that’s you guilty pleasure or biscuits, just eat them in moderation and choose the healthier options – the traffic light labels on the front of packaging can help you choose more greens and ambers and avoid the reds. 8. Reduce the risk of illness in later life. Numerous studies show that having a healthy diet and being physically active may help prevent illnesses like heart disease and cancer developing, and it’s never too late to start. 9. Kids can be involved in the planning. Show them how you plan meals, and why you are choosing those ingredients – that can even make them excited about eating their greens! 10. It’s a resolution that won’t be difficult to stick to – you’ll quickly see the benefits of it! – Waitrose has the LOVE LIFE range, which highlights nutrient-packed foods and makes it easier to eat more variety in the right portions. – Waitrose nutritionist, Nathalie, helps to inspire with ideas and tips to make healthier habits a part of life for you and your kids. – Waitrose products use traffic light labelling on the front of pack to help you choose foods lower in sugars, salt and fat. – Waitrose has the LOVE LIFE Calorie Controlled range, a delicious range of breakfast, lunch, dinner and snacking options based on the principles of healthy weight loss. – Celebrity trainer Matt has devised a set of fabulous, can-do, fat-burning exercises to help you tone up at home. – The guide to healthy portion sizes can help you to maintain a healthy weight. – Have a go at the helpful 7-day eating plan, designed by Waitrose Nutritionists. – Waitrose also has dozens of healthy recipe ideas. – Waitrose has created a healthy eating campaign with particular focus, advice, offers and ideas for a healthier diet for children.